Combining a browser based management portal and user-friendly mobile application, our fleXipod electronic proof of delivery (ePOD) software simplifies mobile data capture processes and enhances real-time visibility of all mobile activities. Whether your drivers are delivering goods or providing on-site services fleXipod can be configured to achieve your business goals. fleXipod provides a range of data capture options and additional features enabling you to enhance your customer service offering while streamlining internal operations and reducing costs. With straightforward implementation and a full training package, you can quickly get up and running with fleXipod, gaining measurable benefits from day one. Provide accurate and detailed real-time data to your customer service and operational management teams. Enhance the on-site encounter with straightforward electronic processes and automate customer ETA communications. Remove the costs, inefficiencies and risk associated with delivery paperwork both on the road and in the office. Improve productivity with quicker on-site procedures and simplified internal communication. 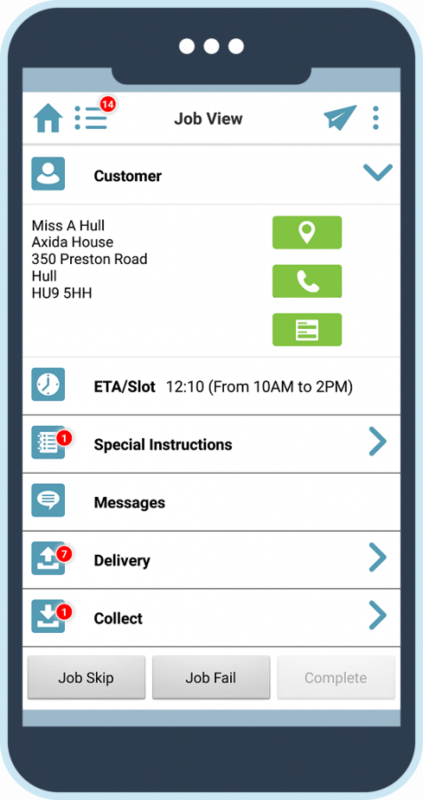 Our easy to use fleXipod proof of delivery application guides your drivers through the on-site processes you have created in the central management console ensuring compliance and consistency in all mobile activities. The application is multi-device compatible allowing you to choose a device that can support your requirements such as barcode scanning, pricing considerations or incorporation of SatNav functionality. 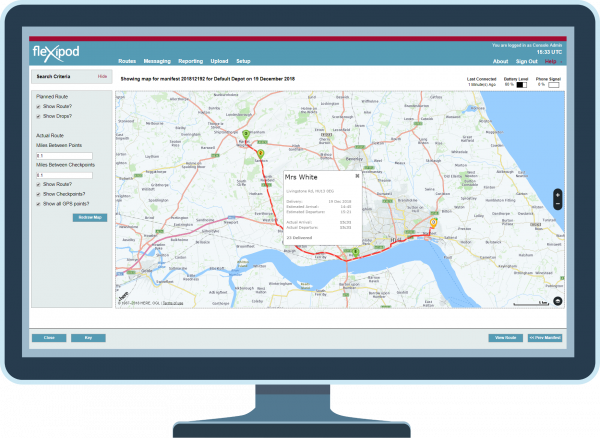 Our fleXipod central management console is an online portal that allows your office-based staff to manage the processes your mobile workforces will follow out on the road and monitor their progress in real-time. Office-based staff can create business specific processes, set up automated customer notifications, send messages to drivers, review real-time updates from the field and analyse overview dashboards – all from one user-friendly interface. Is the fleXipod electronic proof of delivery system suitable for my organisation? The fleXipod proof of delivery software can be used a standalone solution to improve mobile processes and enhance last mile customer service, or combined with one of the Paragon routing and scheduling modules to further improve operational efficiency and cost savings.